Recent data breaches are making headlines, like the Equifax breach which resulted in at least half of the US population being compromised. It is clear that cyber criminals and hackers are becoming more sophisticated and bolder. Individuals and businesses are constantly looking for ways to anticipate when and how the next strike will take place, in most cases investing in Cybersecurity Services is the most viable option. 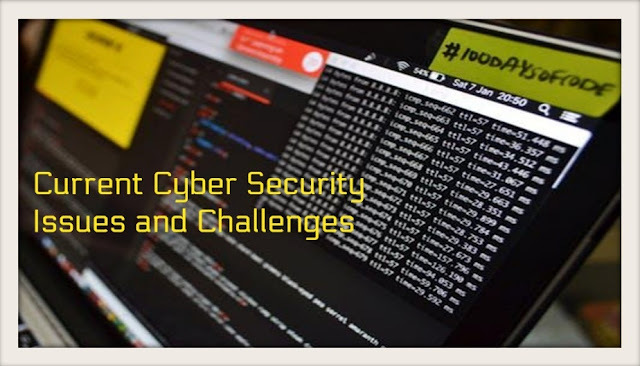 If you are not convinced about the severity of the situation, here are the current cyber security issues and challenges that will make you think otherwise. Current Cyber Security Issues and Challenges? Seeing how tons of data is being collected, transferred and used on a daily basis, compromising the security and integrity of personal information has turned out to be a profitable venture. Cyber criminals will continue to look towards personally identifiable data as a source of immense value. With so many companies relying on the cloud to store data, ransomware attacks towards cloud breaches will only keep increasing at a steady rate. Previously, hackers used .exe file systems to distribute malware however, now they are relying on “Fileless” delivery systems to target different systems. This alternative infiltration method is more effective at tricking just about any antivirus solution you can think of. Modern security software and technologies are filling this gap, as public sector organizations and companies will need to invest heavily in new technology for top notch security, which sadly, they are not doing at the moment. Nowadays, criminals are willing to invest time to thoroughly investigate the internal workings and management protocols of companies in order to trick employees into giving out private and confidential information. Hackers normally phish for passwords belonging to senior executives, using which they send emails to employees. If not for that, they could set up a fake email account using a domain name similar to the company to make requests for illegal transfers. This strategy combined with AI makes it possible for hackers to go through numerous emails in order to emulate the language used by the company to make the scamming method more wide ranging and effective than ever before. Power grids, media channels and transportation networks controlled by automated systems are easy targets for hackers and cybercriminals. Whether carried out for terrorist activity, warfare or a ransom; critical infrastructure is very prone to cyberattacks, largely because of its immense potential to spread panic and wreak havoc. Crypto currency will remain a hot favorite for cyber criminals that want to make substantial profits. The block chain network used to protect online transactions was poised to be invincible however, yet again cyber criminals have proved that they are always two steps ahead almost every cyber security protocol. Hackers make this possible by using stealth methods to steal computing power. Malware is left running in the background of compromised systems, harvesting crypto currency for cyber criminals without the victims even knowing about it. People are always plugged in these days and the rise of IOT has certainly changed the entire commercial eco system around the world. According to numerous studies 84% of American households have one smartphone at the very least, while 80% of them have a laptop or desktop computer. 68% have one tablet, while 39% have one streaming device. With IoT (Internet of Things) gaining traction, devices at home are now all connected to each other. Of course, this can offer numerous benefits however, it can leave you vulnerable to cyber attacks. According to a study, a staggering 70% of IoT devices have considerable security vulnerabilities. Serverless apps are open to cyberattacks and are considered to be the most vulnerable entry point for cyber criminals. Customer information is more at risk when accessible locally, or off server, on their device. If you are wondering why this is the case, it is because data stored on the cloud is the responsibility of big corporations which provide these services. 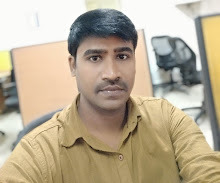 Whereas, for serverless applications, you and solely you are responsible for taking appropriate security precautions. Make sure you have opted for a reliable hosting service, since most of them tend to give out your information without your approval. 8. What to expect in 2019? Cyber criminals will create a lot of jobs for security professionals in the next couple of years. Unfortunately, there is no way to end hackers for good, at least for now, as hackers become savvier with every passing year. However, each year will see new dense mechanisms being introduced as well. So what does cyber security and cyber criminals have in store for 2019? Nothing can be said for certain. However, these issues and challenges mentioned above are considered to be a good place to start.